Sebastian Vettel has played down claims Ferrari will confirm he is staying put for 2018 next week at Monza. The Italian team said this week that the German's friend and teammate Kimi Raikkonen is staying at Ferrari next year. 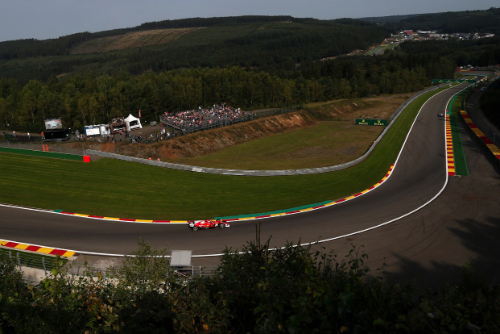 "I have no idea what will happen in his (Vettel's) case," Raikkonen said at Spa, "but hopefully it all stays how it is now." There are rumours all will become clear at Ferrari's home race next weekend, but Vettel denied that. "The main focus now is not news, it's the race and that will be the same next week. So I don't expect news within the next two weeks," said the quadruple world champion. Another rumour is that Raikkonen's new contract was a 'condition' of Vettel also deciding to stay. "The team asked me if I'm happy with it (Raikkonen staying) and I'm happy," Vettel said. "There is no doubt about Kimi's speed but the decision is of course Ferrari's."